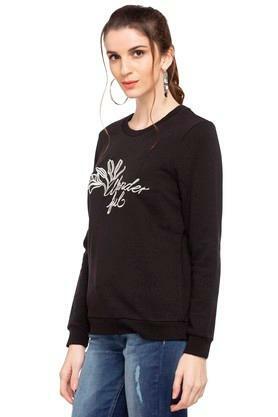 Pretty and feminine, Vero Moda sweatshirt perfects the art of winter dressing. Made from good quality fabric, this sweatshirt fits your personality so perfectly that you will love it instantly. Featuring a round neck, full sleeves and embroidered pattern, it gives you coziness throughout day. Perk up your after-hours style with this sweatshirt. 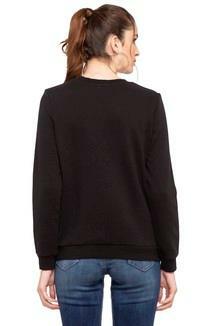 Coordinate this sweatshirt with a pair of ballerinas for a chic look.